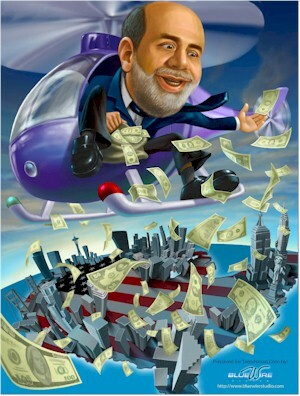 QE3: Why should you care? As you may already have read in the papers or watched on the news, Ben Bernanke, the chairman of the US Federal Reserve, just announced the initiation of further quantitative easing, dubbed QE3. The Fed will be purchasing additional mortgage-backed securities of US$40 billion a month until jobs data look better. Additionally, they are extending their low rate outlook until mid-2015. Well, that’s great and all, but how does that affect us here in Singapore? Together with the Outright Monetary Transactions (OMT) and expected Japanese retaliation, a lot more money is coming into the global financial system. That money’s going to have to flow somewhere, and a prime location to park excess cash will be Singapore. As the saying goes, a rising tide floats all boats. However, not all boats float alike. The impact will be higher for liquid assets like stocks, since this “hot” money has to remain flexible to move in and out on a whim. Asian currencies are expected to appreciate against the US dollar due to the QE3. This will also be a draw for money to pour into Singapore. However, as above, impact to the property market due to this factor is expected to be limited in the short term. Singapore interest rates, being largely in tandem with US interest rates, is expected to remain low until mid-2015 at least. This factor should have the greatest impact on the property markets as it will keep mortgage payments low for a longer period. All in, it seems generally positive, but as usual, common sense should be applied liberally when making any investment decisions. Jumping in head-first without doing the appropriate groundwork is simply a gamble. You’d probably be better off just heading to MBS!